Anyone who likes seeing beautiful women making up the symbols of a pokie machine is going to enjoy playing Amazons’ Battle by EGT, as it’s got 4 attractive ladies paying out some of the biggest prizes. Those players who just like to spin up some reliable wins and get treated to the occasional bonus round should also take a look at this game, as it comes with free spins, stacked wilds, an option to gamble prizes and even a randomly-triggered progressive jackpot. The steamy jungles of South America are featured in lots of online casino games, but the Amazons’ Battle video pokie covers the theme in style, with highly realistic images of the Amazonian women alongside a tiger, (wrong continent, but never mind), and the low-value playing card symbols. Lining up matching symbols across any of the 30 paylines on adjacent reels from the left side will be enough to get a win in the normal run of play, but those gamblers on tight budgets may want to test it out with free Amazons’ Battle video pokie rounds before committing to the minimum stake of 0.30 per spin. This can be raised to a high limit of 600 coins. The blonde and the black-haired Amazonian women only need to land on reels 1 and 2 to make winning combinations, with the blonde paying 5x the line bet when she does so, up to 50x when she stops right across a payline on all 5 reels. The black-haired girl is worth slightly less, and then we see the redhead and brunette returning slightly smaller wins when they stop across 3 or more reels of a line. The tiger is valued at 6x, 15x or 25x the line bet when he lands on 3, 4 or 5 reels at once, while standard playing card symbols fill out the bottom half of the pay table, creating the lowest-value, but subsequently more common winlines. A horse, in full battle armour, is a wild symbol that’s also the highest-paying, returning 10x when it stops on reels 1 and 2 across a line, and 50x, 250x or 1000x the line bet when it appears on 3, 4 or 5 reels respectively. If it’s in the right place to fill in any gaps between matching symbols, it can substitute for all except the scatter, and players will still get a payout, while the wild is also able to stretch lines of 3 or 4 symbols across extra reels, which will result in a higher prize. 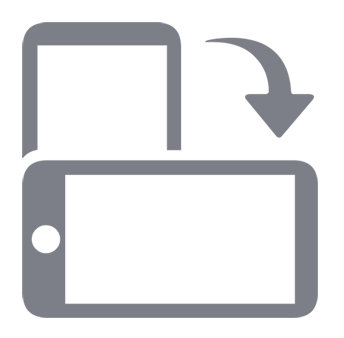 A decorative axe head is a scatter symbol that pays 60 coins when it appears, and will also trigger a free spins bonus round if enough of them turn up at once. As the scatter is a stacked symbol, it can be fairly easy to start the bonus round, and any 7 in total will see 7 extra spins play out. If 8 scatters are in view at once, then 15 free spins will begin, and having 9 or more will see the top award of 30 free games commence. An alternate set of reels is used in these extra spins, but unfortunately, the bonus games can’t be retriggered, so once they are done, players get returned to the main set of reels. If a win was for less than 1050 coins, players can choose to gamble it in a side game where they need to correctly pick a red or black suit from a face-down playing card. If they get it right, the win is doubled and they have the option of collecting it, or going again, but any wrong pick loses the triggering bet and these rounds can be tricky to gain from, even though it’s a straight 50/50 gamble. Punters will have noticed 4 boxes above the reels, each attached to a playing card suit, and each containing a progressive jackpot that rises in value until it’s scooped by a single player. The round starts at random, and once it begins, a win is guaranteed, although whether it’s the low-value Club prize or the top Spade jackpot depends on players finding 3 cards of the same suit from a set of 12 that’s laid out before them. 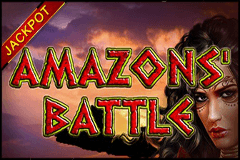 Like many games from this developer, the Amazons’ Battle video pokie looks great and comes with some decent bonuses. Having said that, there’s still a couple of downsides to this game, such as the relatively high 0.30 minimum stake, and fact that it’s not mobile optimised, but apart from these minor issues, this remains an appealing casino pokie machine that has lots to recommend.